Messy Church is especially designed to reach out to families including those for whom Sunday morning worship is difficult due to family circumstances. It is an all-age church where everyone is valued equally. It provides an informal environment for all-ages to explore and experience faith and worship through crafts, food and celebration. It describes each and every one of us as no one is perfect and each of us lead messy lives for many reasons. It invites us to come together, making things together, eating together and celebrating God together. All children must be accompanied by an adult. 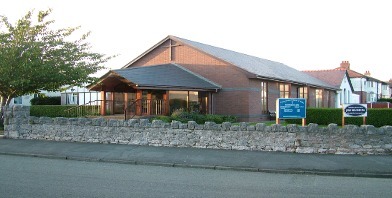 The Messy Churches in Penrhyn Bay are being held on the first Thursday of every month - except Aug/Sep/Jan - from 4 p.m. to 6 p.m. Please come along and join in.